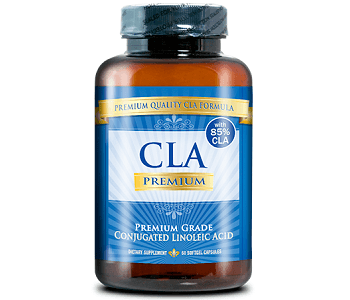 Read our below review to get the facts about Conjugated Linoleic Acid (CLA). This product claims to assist with the reduction of body fat while also helping to lower cholesterol. The manufacturer claims that this product will help you achieve lean muscle tissue and boost your metabolism while also being able to suppress your appetite. It also claims to benefit your cardiovascular system, skin and immune system. 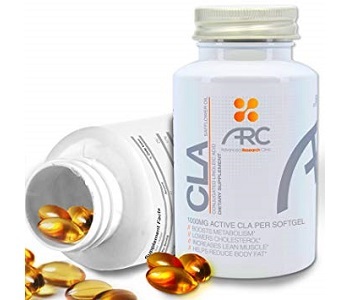 CLA or conjugated linoleic acid is a group of chemicals found in many dairy products that can be used for cancer, the treatment of obesity caused by chronic conditions, assist with bodybuilding. This ingredient works by reducing fat deposits and also assists with boosting your immune system functions. The manufacturer of this product suggests that adults should use this dietary supplement by taking one capsule per day and it is also suggested to take this capsule preferably with a meal. Conjugated linoleic acid is advised to be safe considering that it is used as directed however it may possibly cause side effects such as an stomach upset, diarrhea, nausea, and fatigue. We recommend that if you experience any of these symptoms you should rather discontinue use and seek advice from a doctor if they do not clear up. This product is also probably not suitable for women who are pregnant or nursing and we suggest that you should rather consult a doctor before use if you suffer from any medical conditions or are using any medications. This supplement can be purchased from accredited third-party retailers such as Amazon and on their website, it will cost you $27.97. They offer a discounted option for purchasing three bottles for a 15% off discount. Other retailers may also offer discounted options when purchasing this product. Unfortunately, there is no money back guarantee offered by the manufacturer which is quite disappointing although, there might be guarantees available from the alternative retailer you choose to purchase from. This products website has no customer reviews either which is also somewhat upsetting. This product does use good ingredients that could be beneficial for your weight loss struggle and it does have clear dosage instructions provided, however, it does have suggested side effects which may result in this product not being suitable for just anyone. It is concerning that the manufacturer has failed to offer any kind of money back guarantee to ensure that every customer is assured of the quality standards as well as the effectiveness of this product. There are no customer reviews on the manufacturer’s website and in general, this weight loss supplement is probably not the best product out there and we advise that you should rather consider alternative similar products that are more likely to be suitable.